The year is 2221, and humans have colonized an earthlike planet called Thetis in the Silver Foot Galaxy. After a tragic accident kills off dozens of teenage colonists, Thetis's leaders are desperate to repopulate. So the Mayflower 2, a state-of-the-art spaceship, sets off across the universe to bring 177 new recruits to the colony. For Jonah Lincoln, an orphaned teen who's bounced between foster homes and spent time on the streets of Cleveland, the voyage is a chance to reinvent himself, to be strong and independent and brave the way he could never be on Earth. But his dreams go up in smoke when their ship crash-lands, killing half the passengers and leaving the rest stranded-not on Thetis, but on its cruel and unpeopled moon, Achilles. 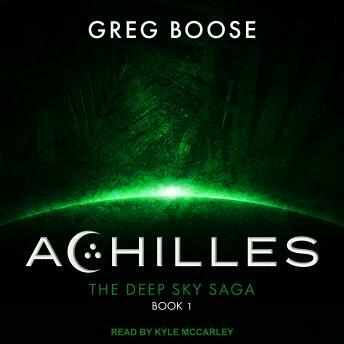 Between its bloodthirsty alien life forms and its distance from their intended location, Achilles is far from an ideal resting place. The situation is already dire, but when all of the adults suddenly disappear, leaving the teenage passengers to fend for themselves, Jonah doubts they'll survive at all, much less reach Thetis. Especially when it appears Achilles isn't as uninhabited as they were led to believe.